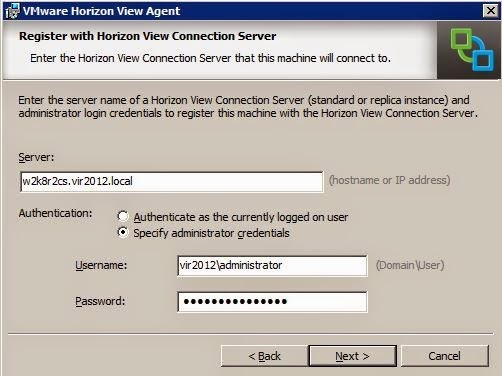 The last blog described the upgrade of the connection server from VMware Horizon View 5.x to Horizon View 6. 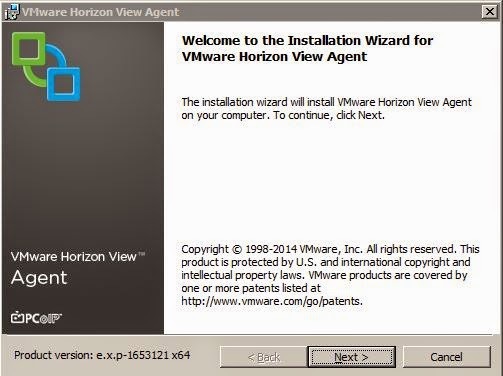 This blog article will describe the installation of the agent. This blog will not describe the upgrading of the agent for I see no reason why anyone would upgrade an agent. I use deployment tools to deploy a golden image fresh every time and the agent would be part of that. So no upgrade but an installation this time, it’s a manual installation and not a command line one which you would use in an automated environment but that’s just that you see what is installed. 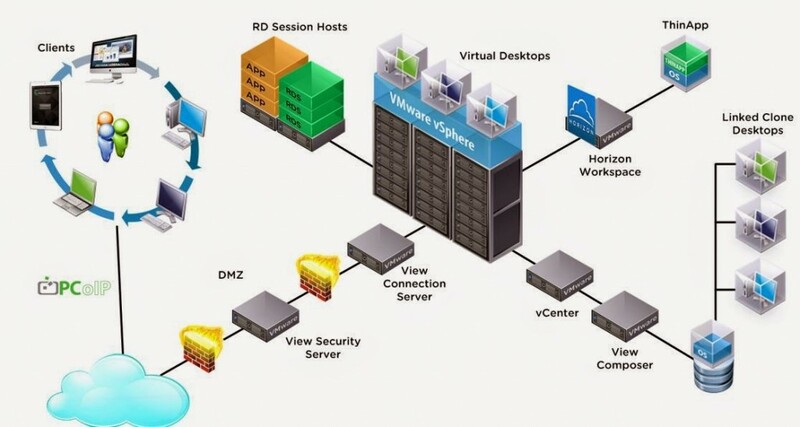 Below is the drawing of the architecture of a VMware Horizon 6 with View environment. 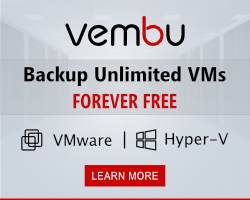 The client can be an internal client or a external based client connecting through a security server. 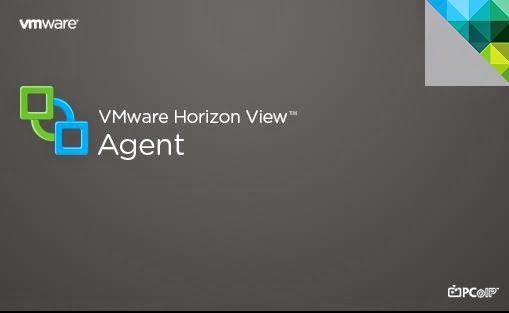 First we will take a look at the prerequisites to install the agent. I haven’t upgraded the agent because I tend to do a fresh install of the golden image. Like with the other posts I will show you the steps but only comment when needed. 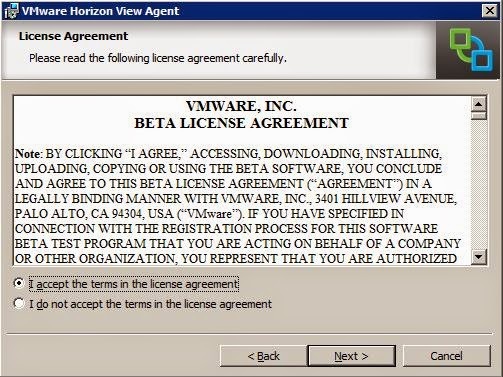 So let’s start with the setup, start the executable with the correct version for the agent. 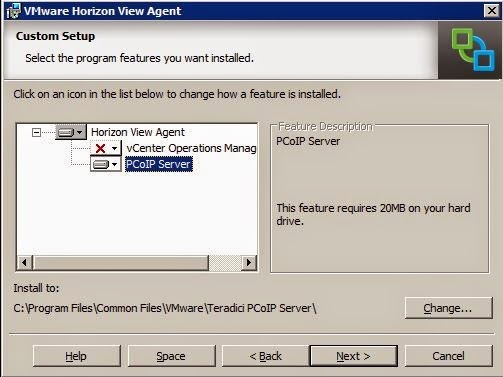 By default the agent installs with support for vCenter Operations Manager, if you don’t have vCops running you better disable the feature, so that’s what I did. The next screen asks you to enter the servername of the connection server. Now is your world this would be a A-record name that was registered, something like desktop. In my lab I just wanted to test the installation so I entered the server name, you get the idea. 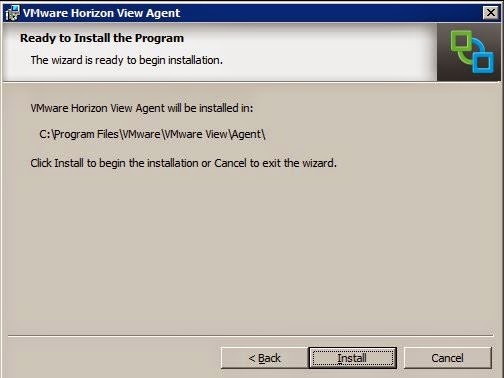 This blog has shown you how to install the agent, upgrading the old on will be nearly the same process. 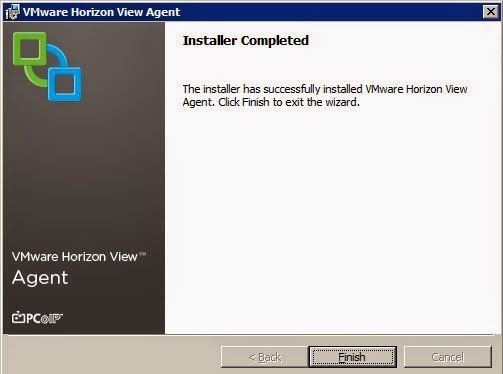 As you see installation or upgrading is easy with VMware, it just takes minutes. There is not much more to tell about this, next blog post is about the agent.